I am home in Bristol, after a busy week in Tokyo and then leading an in-house workshop in London. I love spending a day with developers from one organisation, in order to help them better understand how CSS layout works, and how they can move forward to start to make use of these things even if they have legacy CSS to deal with! I'm currently booking workshops through 2019, drop me a line if you want me to come teach, and hopefully inspire your team. A fairly quiet week this week, although having spent so much time on airplanes and in workshops or presentating, perhaps I missed some things. Let me know of anything you find useful that I can share. Thank you to my sponsor An Event Apart this week - I'll be speaking at all of the An Event Apart conferences next year, along with Jen Simmons and many other brilliant folk. The signup site for the Chrome Dev Summit is live, if you can't make the Summit there is also an interest form to sign up for the live stream. The Smashing Book 6 has a chapter from me on CSS Grid Layout and includes chapters on design systems, custom properties and much more. A guide to all the latest things we need to be thinking about. The img element remains one of the biggest challenges for website performance, especially in responsive designs. In this excerpt from Image Performance, Mat Marquis tells us why, but he also shines a light on the solution. Another one of those "not really layout but of interest to people who care about layout" things as I feel that decisions around performance are something that come up for all of us. I found Jeremy's framework and the included fill-in chart a useful way of looking at this. My presentation from the W3C Workshop in Tokyo last week. From Bootstrap to CSS Grid: Move Forward Without Breaking Anything! A video from Natalya Shelburne at Scotland CSS on using Grid in a progressively enhanced way. 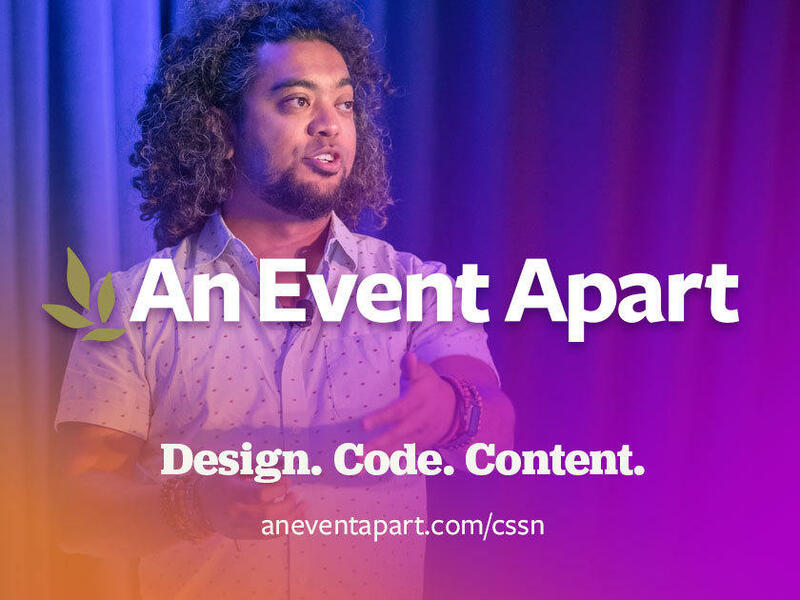 An Event Apart Orlando: Special Edition is a jam-packed, three-day conference with 18 sessions and an intense focus on design, code, and content. Learn with Jeffrey Zeldman, Sarah Parmenter, Yesenia Perez-Cruz, Rachel Andrew, Eric Meyer, Jen Simmons, Kate O’Neill, Una Kravets, Brad Frost, Val Head, Jon Tan, Dan Mall, Kristina Halvorson, Jason Pamental, Trent Walton, Derek Featherstone, Aarron Walter, and Josh Clark. Leave with fresh tips & takeaways, raring to put what you’ve learned to immediate use. The crew from the Thundernerds podcast will also be on hand for live interaction. All this, and the magic of being at Walt Disney World! Don’t miss it. CSS Layout News readers save $100 off any two or three days with code AEACSSN.